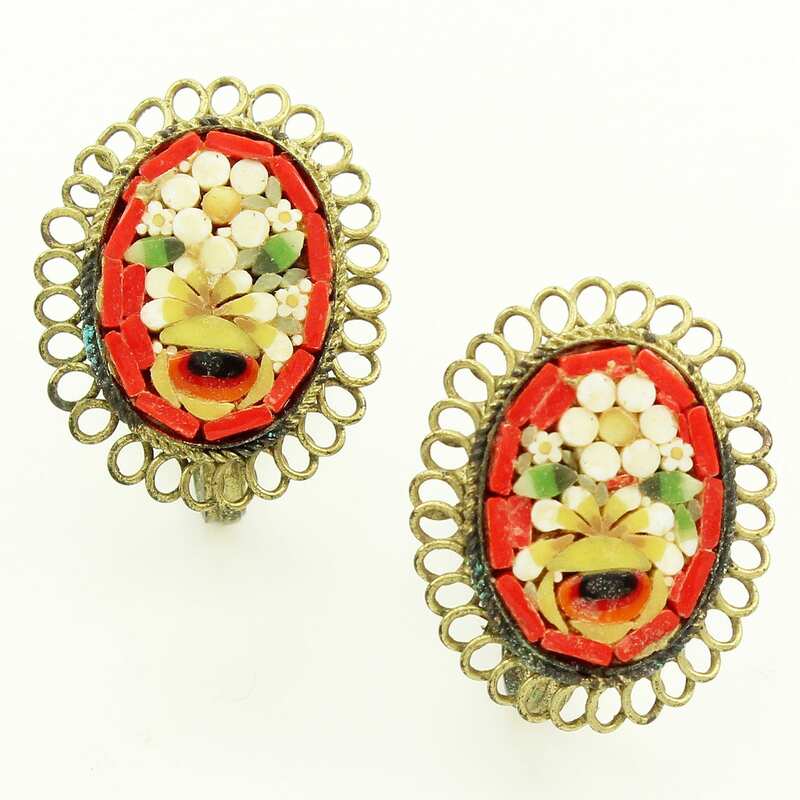 Vintage Italian Floral Mosaic Earrings. 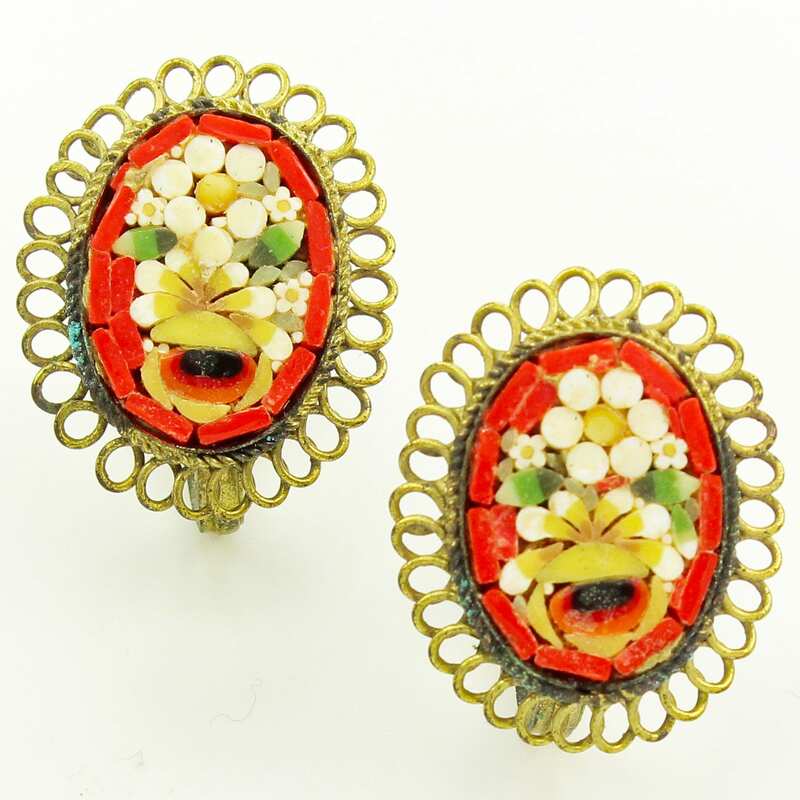 Made in Italy in the late 1940s, these oval micro mosaic earrings feature multi colored flowers on red ground. 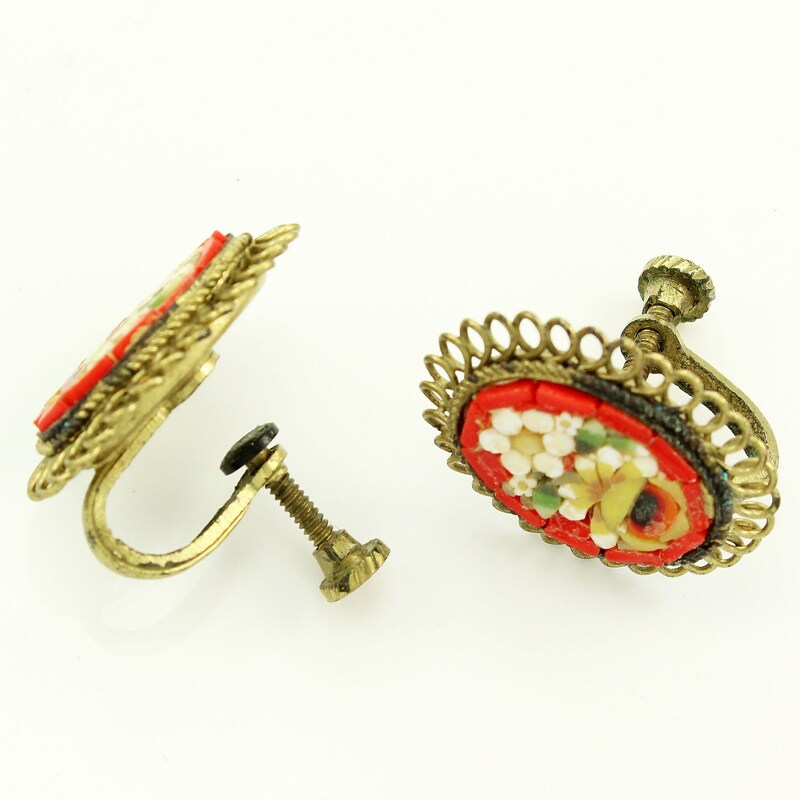 The setting are made of brass and feature frames of looped wire and screw backs. CONDITION: In good vintage condition, with minor green verdigris.